AN Iraqi family recently reunited in Co Kerry now find themselves homeless and face the prospect of living in a one bedroom flat as the Christmas holidays approach. Iraqi national, Habieb Almrhidj, was last week reunited with his wife and six children after seven years of separation. What was a joyous reunion in Ireland was tainted, however, by the homeless situation that the family now find themselves in. The Iraqi family is one of hundreds of families to be reunited under the Irish government’s family reunification programme this year but are also among the many families impacted by the administration’s ongoing housing and homelessness crisis. The situation that the Almrhidj family find themselves in is not unique, according to the Irish Immigrant Support Centre, Nasc, which said finding somewhere to live for families granted reunification has been a problem. “We’re definitely seeing this as an issue recently, certainly in the past year. We have seen a good few cases where an individual has received permission for their families to join them but have difficulties accessing housing once their families arrive,” Jennifer DeWan of Nasc said. “It is symptomatic of the wider housing problem but for people with refugee status or subsidiary protection there can be additional barriers, such as awareness or knowledge of how the systems work and language issues,“ she added. “We’re also starting to see refusals of family reunification decisions for extended family members made under the old Act where lack of accommodation is a factor,” Ms DeWan said. “This is something we’re monitoring closely,” she added. The Department of Justice, which has responsibility for asylum and immigration matters, declined to comment on the housing implications of the family reunification programnme. New criteria introduced under the International Protection Act (2015) has sought to restrict the number of family members per application for reunification. While each case will be unique, figures supplied by the Department of Justice suggest that two to three family members, on average, were considered eligible per application between 2011 and 2016. Departmental data further suggests that, on average, one to two family members were approved per application while one to two family members were refused per application. The Irish Immigrant Support Centre, Nasc, said in its experience the average number of people seeking reunification was between two and three family members per application. To date the government has rejected calls to relax new restrictions on family reunification applications. Introduced under the International Protection Act this year, the new rules restrict applications to immediate family members, such as partners and spouses and children under 18. In November, however, the government announced a new family reunification initiative to accommodate 530 family members over the next two years. The new Family Reunification Humanitarian Admission Programme (FRHAP) will form part of the government’s commitments under the Irish Refugee Protection Programme (IRPP) and give priority to families from conflict zones. FamilyReunion from The Detail on Vimeo. THIS was no ordinary homecoming. Habeib Almrhidj had waited seven years for this day to come. The date and flight number were confirmed: Flight TK1977 arriving at 3.45pm at Terminal 1 in Dublin airport on Monday, December 11th. Habeib’s family were coming to Ireland from the Iraqi city of Nasiriyah to begin a new life in Tralee. It was a day of mixed emotions for Habeib. Joy at finally seeing his wife and children in the flesh. Despair at not having a home to go to. 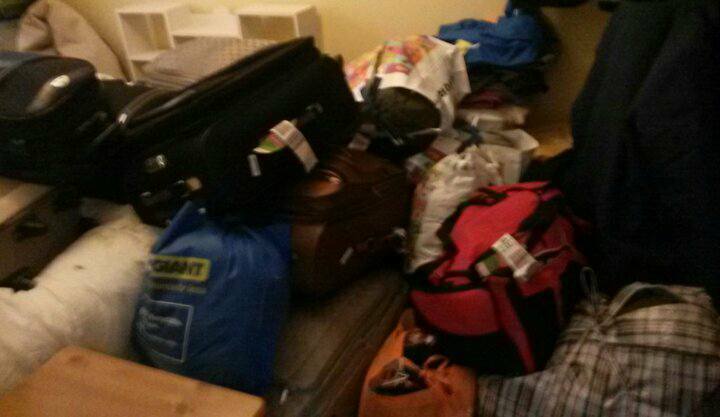 Habeib’s efforts to find a four-bedroom house in Tralee had run cold. He was on the housing waiting list but the council indicated there was nothing available. There were few properties to rent privately and those that were would not accept tenants receiving housing assistance payments. Habeib had no option but to declare that he and his family were homeless. Within hours of landing the Almrhidj family arrived back in Tralee where Kerry County Council arranged emergency accommodation. It consisted of one room in a hostel in the town. There were seven beds for eight people. Habeib said the family could not stay there: “The hostel was not suitable for a family. My children were frightened and crying. This is not how I dreamed that this moment would be. All I want is a house for my family, a home so that we can start our new life here”. Habeib left Iraq in 2010 in search of a better life for his family. He said there were few options in Nasiriyah where snipers and bombs were a normal part of everyday life. “The government took my father and older brother in 2003. It was after the fall of Sadam Hussein. I have not seen or heard from them since. They just disappeared,” Habeib said. “I had no other choice. It was not safe. We could not have a good life in Iraq. I had to do something,” he added. After five years living in Direct Provision, state supported accommodation for asylum seekers, he was granted subsidiary protection in 2015. The chance to begin a new life came as a big relief to Habeib: “This was only the first step, I now had to think of my family and applied for them to join me in Tralee”. Two and a half years later his family reunification application was granted on October 16th paving the way for his family to join him. “It has been seven years of waiting for this piece of paper so that we can start our lives together,” he said. “And now my family are finally here we are homeless. We have nowhere to live. I have looked for housing but there is nothing and nobody can help. I do not know when we will begin to live again?” he added. 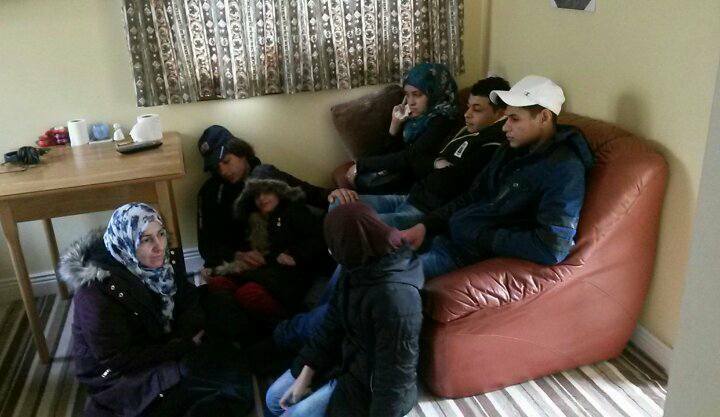 The family of eight are currently living in the one bedroom flat that Habieb has lived in for the past two years. The case comes amid growing concern over the homelessness crisis and increased calls for the Irish government to take greater action. It also highlights how housing shortages extend beyond Dublin and large urban centres. Kerry County Council confirmed there are currently 2,071 qualified applicants on the housing list in the Tralee Municipal District. The council did not confirm how many people are living in emergency accommodation and declined to comment on the circumstances of the Almrhidj family. Habeib was granted permission for his family to come to Ireland before new restrictions on family reunification came into effect in December 2016 under the International Protection Act (2015). So far this year over 700 people were granted permission to reunite with their families in the Republic of Ireland. The number of family members refused was close to 400.